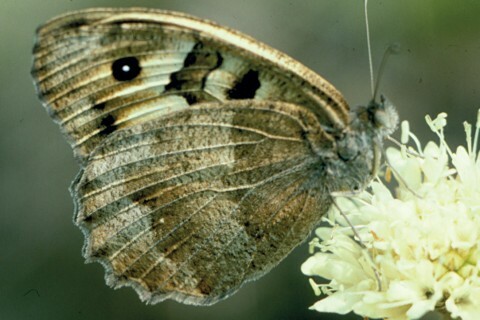 The Hermit butterﬂy has an impressive jerky and hopping ﬂight, and after landing tucks its fore-wings between its hind-wings, making it perfectly camouﬂaged and very hard to see by man or by its natural enemies. From this behaviour it derives its popular name ‘Hermit’ or in Romanian, ‘witch of the meadows’. Females are about 1 cm larger than males. 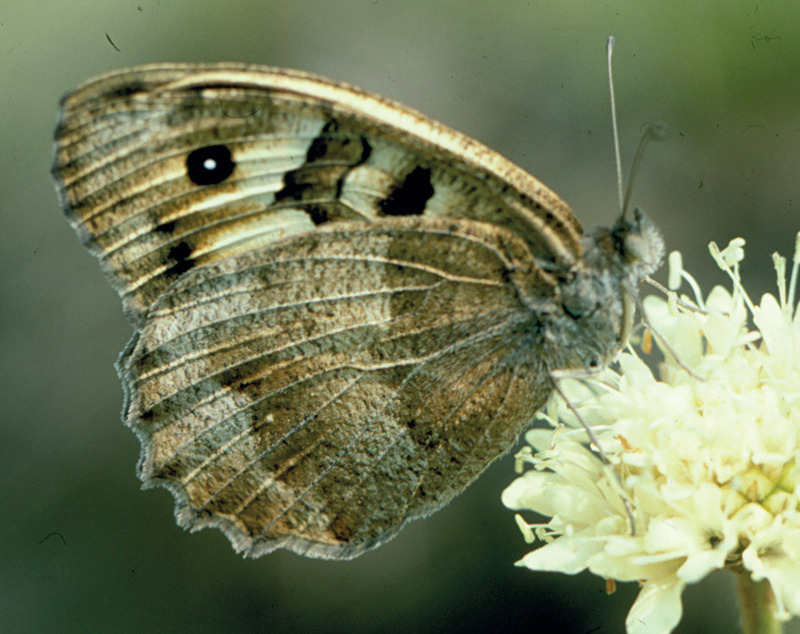 Adult butterﬂies do not live more than 12-15days. Caterpillars develop on Sesleria and other tall grasses, and over winter as young caterpillars. Preferred habitats are dry grasslands, with limestone boulders and scrub thickets, or dry grasslands with scrub on clay soils. Although it is a rare and localized species, sometimes, in ideal habitats, it maybe locally common. The Hermit is threatened by overgrazing, burning of vegetation in autumn and spring, afforestation, application of fertilizers, and habitat fragmentation or destruction.